Modern wall clocks are a great way to share your personal style without saying a word. This small white wood wall clock will and a sleek and fresh vibe to your home decor. 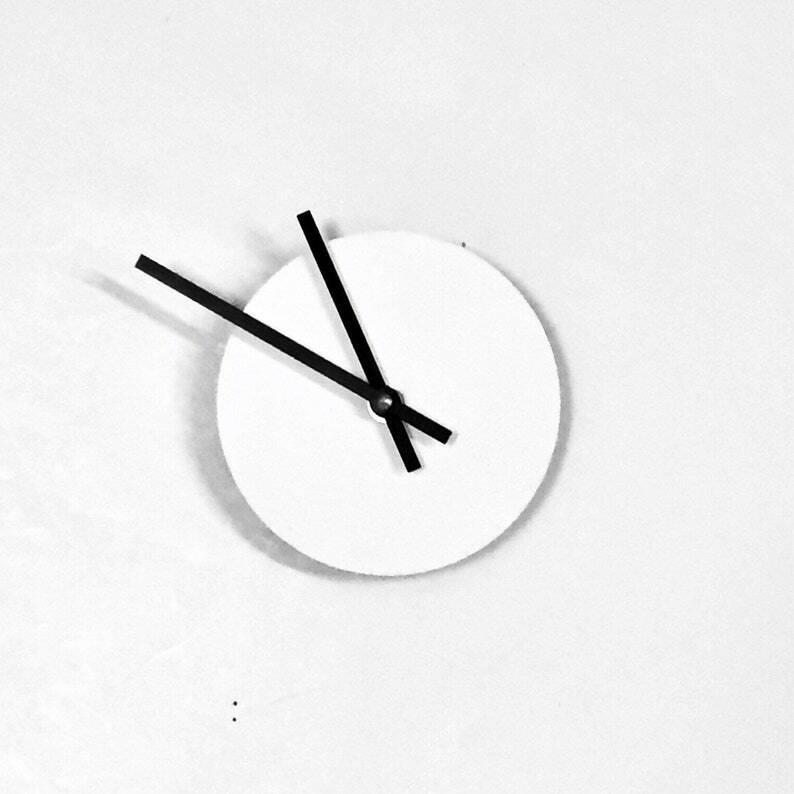 The sustainable wood clock is painted crisp white and has a matte finish. The long black hands are perfect for the style, but can be changed to fit your design concept. If you have a different clock size of color in mind, send a message my way. I would love to create a custom clock for you. Clock size is 5" in diameter and 1/4" thick. Assembled with a new quartz clock movement and long black hands. Equipped with a metal wall hanger. Thanks so much for stopping by to check out this new wall clock! Really dainty - works great for my bathroom!